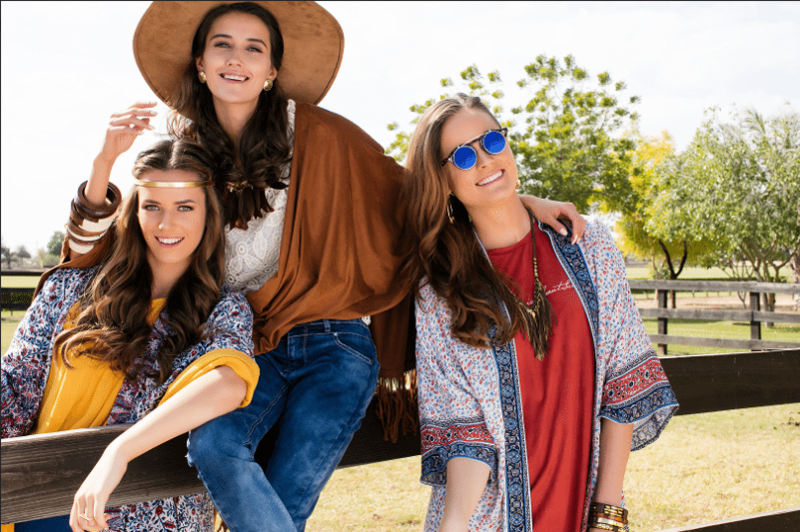 Float through this season in tapestry print and bohemian inspired looks without breaking the bank! On-trend and good value is the order of the Spring 2016 seasonal collection from home-grown Middle East fashion brand twenty4, featuring affordable catwalk inspired looks for all the family from children to tweens and fashion conscious women and men. Rock this season’s trends in muted primary colours with rich tapestry prints and bohemian silhouettes defined by romantic long-sleeved kaftans, flowing maxi dresses and lightweight, full length skirts. The twenty4 womenswear collection is the perfect recipe for trendy boho chic with a modern twist, featuring beautifully finished separates edged in lace and ladylike pleats. Shoes speak louder than words is the mantra we’re sticking to this Spring and where better to shop the look than the exciting collection of fashion footwear from twenty4, featuring lace-up practicals, beach babe casuals and dressed-up diva heels. With its loose, peaceful vibe, the new seasonal menswear collection is dominated by aquatic colours reminiscent of an Italian getaway with laidback shirts in glacial white complemented by surf inspired stripes in azure shades. If relaxing is not on your list this Spring, then the twenty4 active collection is designed for energetic gym-goers. Rainbow inspired functional basics make for a charming childrenswear spring collection at twenty4, giving fashionitas a helping hand to dress the family in catwalk trends for a fraction of the price. For the cutest of babies, twenty4 has adorable playsuits with vibrant patterns and prints to make toddlers swing into spring in breathable, washable fabrics. While beautifully designed Kimono dresses add a splash of Far Eastern charm to little girl fashion and beach basics for boys include sleeveless hoodies, shorts and printed t-shirts perfect for rising temperatures across the region.